This set contains four carving blades, a quick-connect ABS handle, an 11-pocket tool roll, a custom strop and polishing compound. It includes one #6 × 5/16" Sweep, #11 × 1/8" Sweep, one 1mm × 45° V-Tool and one 1/4" × 70° V-Tool. 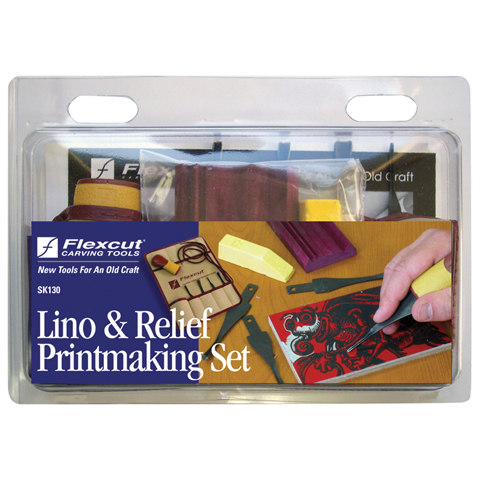 This set is ideal for relief printing, which is based on a reductive process; carve the non-image away from a flat, level surface and ink the remaining top surface with a roller or brayer in order to print the image.